Three in four basic broadband customers are paying more than those on entry fibre or top speed fibre packages, a new study has revealed. It suggests that 72 per cent of broadband customers on basic packages are paying an average of £40 per month - which equates to £14 more than they could be paying for an entry fibre package, according to comparison website Is My Bill Fair? BT customers are most likely to be overpaying the most with those on its basic broadband package paying an average of £49.92 a month when they could receive fibre entry speeds with the same provider for just £29.99. A further 77 per cent of Plusnet customers were also found to pay an average of £34 a month for basic broadband when they could be receiving entry fibre for £23.99 or top speed fibre for £27.99. Comparably lower, 51 per cent of EE customers were found to be paying an average of £33.34 per month for basic but could be receiving entry fibre for £25. Is My Bill Fair also found the majority of Sky customers paid more for fibre than broadband, however, 48 per cent were still paying more for basic than entry fibre speeds. The average basic broadband customer with Sky paid £35.50 for their monthly bill whereas it is just £27 for new customers to receive entry fibre. Even though Virgin Media doesn't offer customers basic broadband services, 85 per cent of their customers on their entry fibre package are paying £41.43 whilst 100Mb speeds are available for as little as £27. A BT spokesperson said: 'We fully agree that customers should get great value and a service that suits them, and we believe that this is best achieved through clear communications with our customers about their options. 'Superfast fibre broadband is now available to over 90 per cent of the UK and more than one million of our customers have upgraded their broadband to get these speeds in the last year. 'Even more of our customers can upgrade today by contacting us, and we're continuing to remind all eligible customers about their options so they can get the best value and fastest possible speeds. Ofcom, the regulator, has an ongoing campaign to help people find the best broadband for them and expose the price gap between introductory broadband offers and how much it costs after the introductory period ends. 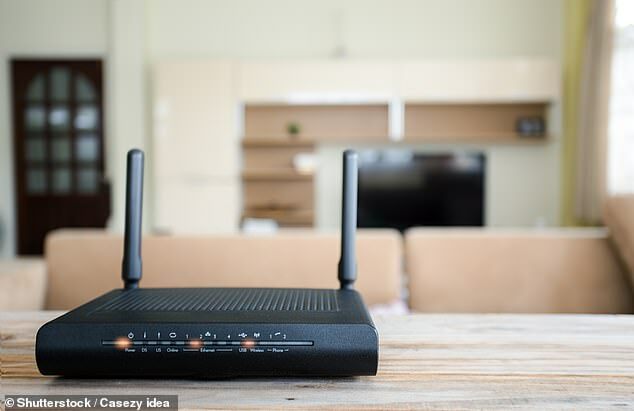 Lindsey Fussell, Ofcom's consumer group director, said: 'This chimes with our finding that half of homes could boost their broadband and upgrade to a faster connection today – in many cases paying the same, or less than, their current deal. Figures from Openreach have also shown that almost 96 per cent of the UK now have access to fibre broadband. But Is My Bill Fair? found that 64 per cent of customers that have a package offering entry fibre are paying on average £40 a month but for just £30 a month, they could be getting top speed fibre of 60Mb+ - giving them a saving of £120 a year. Alex Perrin, chief executive of Is My Bill Fair? said: 'Customers that have been on the same package for a long period of time are simply stuck with old technology and packages that cost more with every price hike but never get any faster. 'There's no guarantee you'll get the maximum speed you've signed up to as this varies by the time of day and many other factors. 'Providers avoid opening up conversations around faster broadband with customers as it simply encourages people to review their package and their costings. Citizens Advice have also looked into the loyalty penalty and found that across five essential markets, including mobile, broadband, home insurance, mortgages and savings, that British consumers lose £4.1billion a year to the loyalty penalty - or £11million a day. The charity submitted a super-complaint to the CMA in September 2018 calling for Ofcom to consider how the problem can be fixed. Gillian Guy, chief executive of Citizens Advice, said: 'Loyalty does not pay. We know this is the case for broadband customers, but this happens in other essential markets too. 'We've been fighting to end the loyalty penalty for years. While the CMA's response to our super-complaint recommended several actions to stop customers being ripped off, each day it continues it costs loyal customers £11million. 'In December the CMA set a 6-month deadline for progress and our expectations are high. With the government committed to legislate in the next 5 months, and upcoming announcements from the FCA and Ofcom, we hope that this will be the start of ending this practice for good. The research analysed nearly 16,000 bills from BT, EE, Plusnet, Sky, TalkTalk and Virgin Media to discover how much customers are paying for their broadband speed – and how much it would cost them to switch to a faster package. It found that 79 per cent of TalkTalk customers could also be paying over the odds for their broadband with basic broadband customers forking out £32.93 when they could get entry fibre for just £23.99, or top speed fibre for £27.99. Can marijuana offer a smoking return or would you be a dope to dabble with funds betting on it being legalised? I want to oust a bank as my relative's executor to dodge its high fees: Can I retype the will and insert my name instead?